If Steam sales and iPhone apps have shown us anything in the past few years, it's that gamers are cheap, and many will buy games for pocket change without hesitation. Enter Frima Studio, a Canadian developer that has been putting out PlayStation Minis since the program started. Five games, which normally sell for two bucks apiece have been bundled together, with the price slashed in half. Five games for five dollars is certainly a deal, and while they may all be worth at least a dollar apiece, only one of the five games is really worth your time. Across all five titles in the bundle, there are a few common threads. Zombie Tycoon, Young Thor and A Space Shooter for 2 Bucks! all have in-game achievements, but without any tie to PSN Trophies or to gameplay rewards, they can be easily forgotten or ignored. Still, some provide extra goals for completionists or those looking to exercise bragging rights. Another common theme among the five games in the bundle is the length. Granted, PlayStation Minis are meant to be small, bite-sized experiences, so as long as players adjust their expectations accordingly, the short average game length is not really much of an issue. Frima Studio's storytelling is pretty similar throughout the bundle as well. Most of the narratives are light and goofy, in a Saturday morning cartoon kind of way. Perhaps going with that idea, the stories unfold via hand drawn comic-style stills and voiceover. While the storytelling won't win any awards, it's not bad, and it fits the feel of the games pretty well. 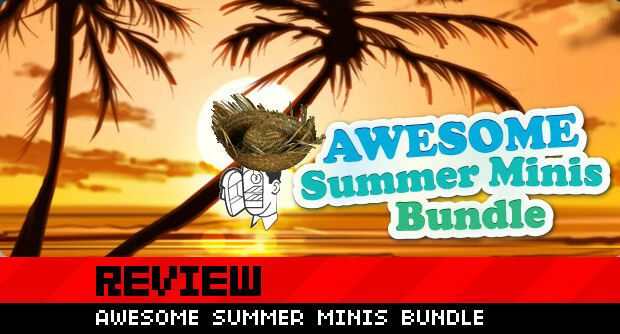 Otherwise, each of the five titles has its own strengths and weaknesses, so without further ado, I present a brief examination of each of the games in the AWESOME Summer Minis Bundle! Zombie Tycoon is probably the weakest of the titles in the bundle. 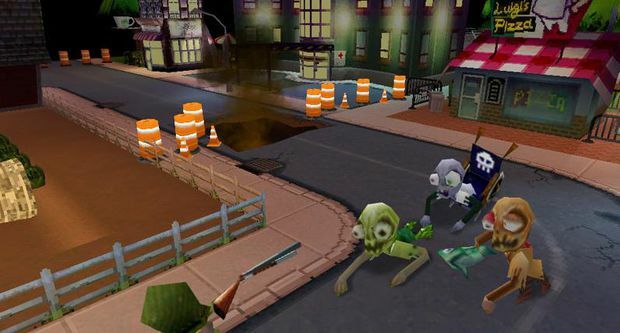 The player assumes the role of a mad scientist, controlling a horde of zombies with the intent to take over the world. While the premise sounds promising, in practice it amounts to a lot of clicking on buildings to command a zombie attack and then waiting as the building's health bar slowly decreases to zero. Of the two polygon-based games in the bundle, Zombie Tycoon is definitely the ugly one. Granted, there can be dozens of zombies on screen, but the character models and textures are so dated looking, it warrants comment. The sub-par graphics do take a bit away from the one enjoyable aspect of the game, which involves dressing the zombies in various ridiculous outfits. Different weapons, torso-coverings, headgear, and footwear can be outfitted to the different zombie squads. Primarily, it beefs up the zombies' stats, but it also has the effect of being mildly comical. A zombie in a sombrero and bunny slippers hitting buildings with a fish is too ridiculous an idea not to elicit a chuckle or two. Young Thor is the other game with polygonal characters, but despite that, all of the action occurs on a two dimensional plane. Part platformer and part beat-'em-up with some basic RPG elements, Young Thor doesn't really do anything well. 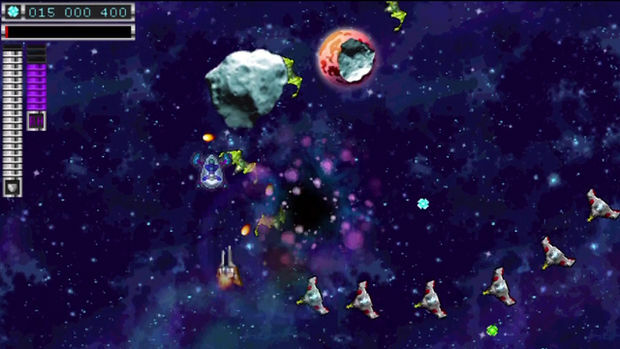 There are four main levels to play through, but each level has four versions, featuring different enemies and powerups. It's a semi-clever way to squeeze more gameplay out, but many will tire of seeing the same environment multiple times. The biggest fault of Young Thor is in the character's movement and attacking. Combat in the game is sluggish and unresponsive, and most of Thor's moves feel ineffective. Fights are either frustrating or dull, depending on whether the player wants to try different attacks and combos or wants to ground pound everything nonstop. Widgets Odyssey I & II have an interesting premise. Five robots must use their unique skills in order to solve light puzzles to get to the end of the levels. Among the games in the bundle, these are the shortest, with only four levels apiece. Rather than having access to all of the robots Lost Vikings-style, each level is built for a specific character. 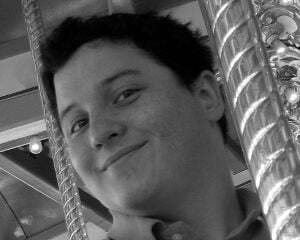 As a result, the puzzles are fairly simple, and usually amount to "find this thing, bring it to this place." While the animations look pretty great in both the cutscenes and the playable sections, the controls suffer in the same way that Young Thor's do. Jumping and attacking is imprecise, and commands won't go through at all if you try to enter them in quick succession. In order to change things up a bit, there are a few minigames to be found within Widgets Odyssey. These do succeed in injecting variety, but most are poorly executed. Some of these include an auto-run platformer that doesn't let the player see very far ahead, a shmup chase sequence with essentially unavoidable obstacles, and a rhythm game with timing that doesn't feel like it's on the beat. Still, it is neither too difficult nor too time consuming to play these two games to completion, and the goofy story could be worthwhile for some. Without question, A Space Shooter for 2 Bucks! is the gem in this bundle. We've already given it a full review on its own, so for a more in depth analysis, check out that link. At its core, A Space Shooter for 2 Bucks! is exactly what it advertises to be. Initially, it seems bland, but it quickly ramps up in difficulty. 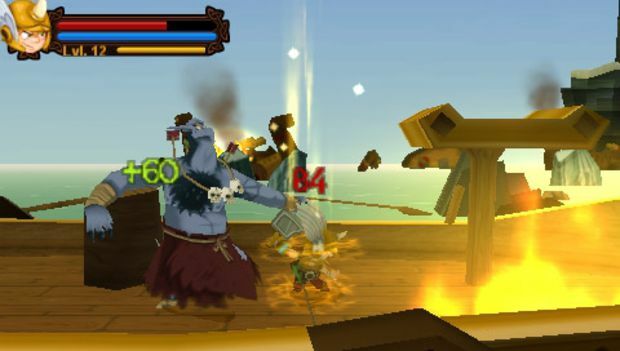 Meanwhile, the player collects remnants of enemy ships with which to buy upgrades. By the end of the game, the levels are impossibly cluttered with enemies, but the ship is such a powerhouse that it stands up against the aliens anyway. Ikaruga-esque precision and memorization this is not; brute force is the greatest asset here, and it feels fantastic. The one complaint I had at the beginning was that the ship has too much inertia. It takes a split second to get up to full speed, and another split second to stop, and it was off putting initially. However, the more time I spent on it, the more it seemed like a conscious design decision to highlight the fact that what you really want to do is attach as many guns to your ship as possible and blow up some aliens. In the end, I spent just over five hours on A Space Shooter for 2 Bucks! alone, and had a great time throughout. It probably could justify the five dollar price tag of the AWESOME Summer Minis Bundle on its own, were it not for the fact that its individual price is right there in the title. Since the other entries in the bundle range from bad to mediocre, it's difficult to recommend the entire package, but for gamers looking for a sweet deal, I wouldn't hesitate to recommend picking up A Space Shooter for Two Bucks! alone, at its normal asking price of two bucks.